Journeys is a comprehensive reading/language arts program that contains the highly effective reading instruction found in Horizons. Using Journeys, you will provide a strong foundation in five key areas of learning  phonemic awareness, explicit and systematic phonics, fluency, vocabulary, and text comprehension. 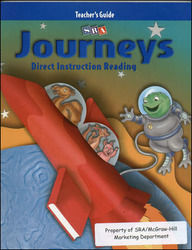 Recommended when instructional time does not permit the use of separate reading and language programs, Journeys offers intensive oral language, vocabulary, and listening comprehension to support reading skills.